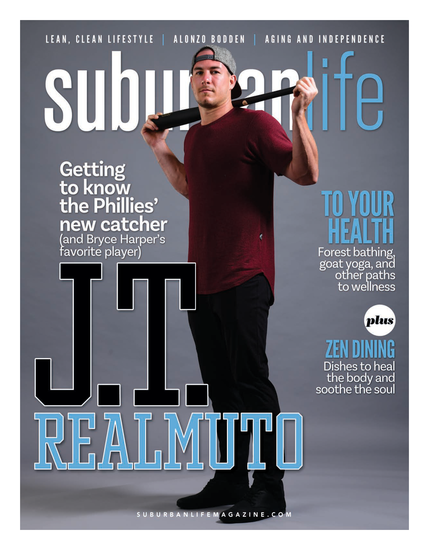 Considering the ivy-shagged estate homes of the Main Line and the sprawling manses near the hillsides of Bucks County, the Philadelphia suburbs have long had their share of desirable neighborhoods. In recent years, another swath of the Greater Philadelphia Area has flourished as a source of sought-after properties that prospective buyers are clamoring to call home—namely, the areas surrounding Collegeville, Limerick and Upper and Lower Providence townships. Anyone either selling or looking for a luxury home in this part of the world will want to keep the name Terese Brittingham firmly in mind. “We think of ourselves as the luxury-home connection in this area,” says Brittingham, broker/owner of the Brittingham-McCouch Sales Team of Keller Williams Realty Group, based in Limerick. “For many years this area didn’t have a lot of higher-end properties, but we’ve seen a shift and now there are a lot of wonderful things happening here. As proof, Brittingham has three current listings that exemplify some of the finest and most distinctive properties her marketing area has to offer. * This stunning property, known as the Fatland Estate or Vaux Hill, unfurls onto 15 beautifully manicured acres. Originally constructed in 1776, the property’s history stretches back to the days of William Penn. But there’s so much more to this property than its rich history. 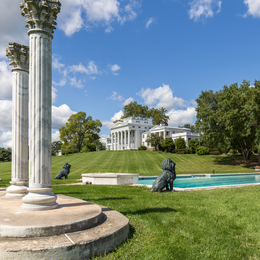 The estate has an abundance of highlights worth mentioning, beginning with the immaculately restored, renovated and expanded Greek Revival-style mansion. The mansion measures more than 11,000 square feet, with seven bedroom suites, four full baths (and four half-baths) and fully finished basement that includes a pub with a bar that was flown in from Scotland. It also has a rooftop deck that overlooks the grounds of Valley Forge National Historical Park. From the intricate detail of the grand gated entrance, to the elegant pool, to the tennis court and horse pastures, Brittingham says this property simply must be seen in order to be believed. The asking price is $3.5 million. * This secluded and gated “mini-estate,” as Brittingham calls it, is nestled into the side of Valley Forge Mountain and surrounded by natural beauty. The 6,400-square-foot home features an abundance of stone and wood, with expansive windows designed to make the most of natural lighting and “bring the outdoors in.” Some of the home’s many interior highlights include hardwood floors, vaulted ceilings and five stone fireplaces. The home’s lower level features a wine cellar, complete with a tasting area, capable of storing hundreds of bottles. The listing price is approximately $1.19 million. * The current owners of this distinctive property on Colbrookdale Road clearly have a deep reverence for the outdoors, as evidenced by the gorgeous landscaping, the pristinely kept grounds and the outdoor kitchen, as well as a multitiered deck that offers a view of Manatawny Creek. The 3,800-square-foot home has an open floor plan with an expansive family room, and a newly redone chef’s kitchen complete with custom cabinetry, a quartzite kitchen island and porcelain flooring, as well as all-new KitchenAid appliances. The asking price is $929,900. For Brittingham, real estate was something of a second career. She started out working in physical therapy but quickly found the field interested her less than she had hoped. At the time, her mother had a real estate brokerage of her own, offering a foot in the door. She and her business partner, Thomas McCouch, have been in business since 1993. The team has since grown into a “best of the best,” to include a crew of experienced Realtors, a devoted administrative staff and other resources to improve the client experience. This includes a video-production team to create digital content for the brokerage’s own YouTube channel called KW Live TV. To create the content, the production team travels to clients’ homes and essentially takes prospective buyers on a digital walk-through of each home to generate buyer interest. Having been rooted here for so long has proven to be an invaluable asset. As the real estate market has blossomed around the Brittingham-McCouch Sales Team, the firm has become a premier resource for buyers and sellers alike. “We know the area because it’s home to us,” says Brittingham, who lives in Collegeville. “We grew up here and have been doing business here for a long time, and that gives us a unique perspective. It also helps us project where the local real estate market is going, so we understand the factors that might affect home values.